Walking through the market yesterday, my eye gaze fell upon a bag of shelled peas that I just had to buy. 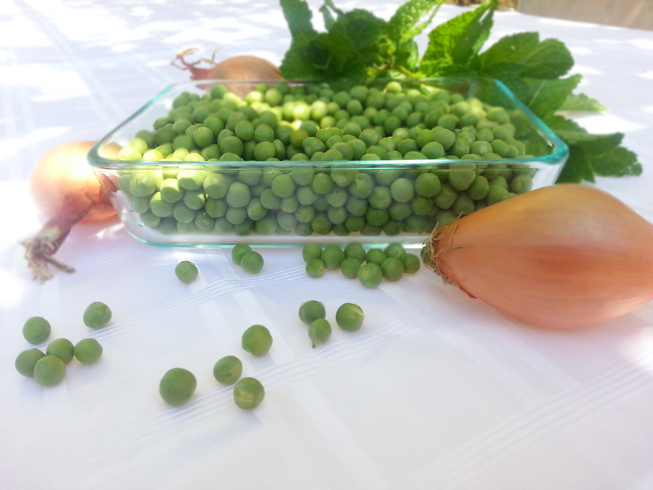 Initially I wanted to make pea risotto, however this morning while tending my little garden, I found an abundance of overgrown mint. Somehow it does not feel like summer in New York, not the usual hot, sticky and humid summer. The nights are chilly, and the air is deliciously refreshing, and it does feel like spring. 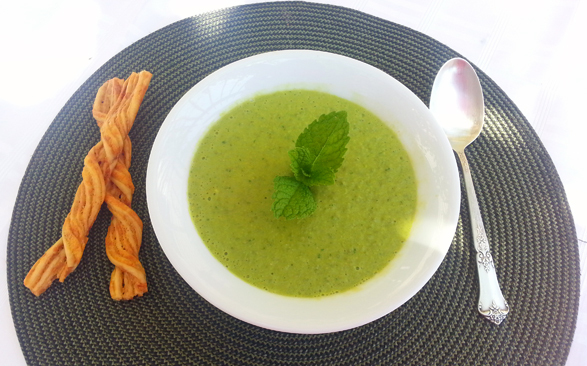 This minty pea soup is perfect for this weather, it doesn’t include a lot of ingredients and cooks in about 20 minutes. The flavors are delicate and fresh, not your ordinary split pea soup. Paired with Parmesan twists – perfection in a bowl. 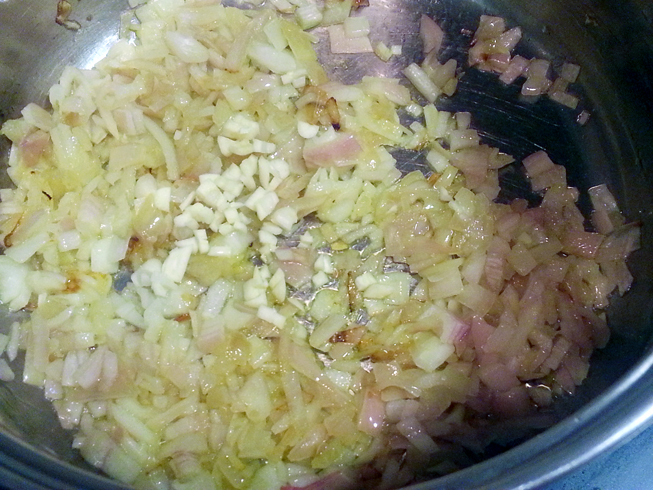 On medium flame heat olive oil in a 3 quart pot, add shallots and saute for about 3 minutes, until shallots start to become transluscent. Add garlic and continue to saute for another 2 minutes until the garlic becomes fragrant, be careful not to burn the garlic, it will turn bitter. 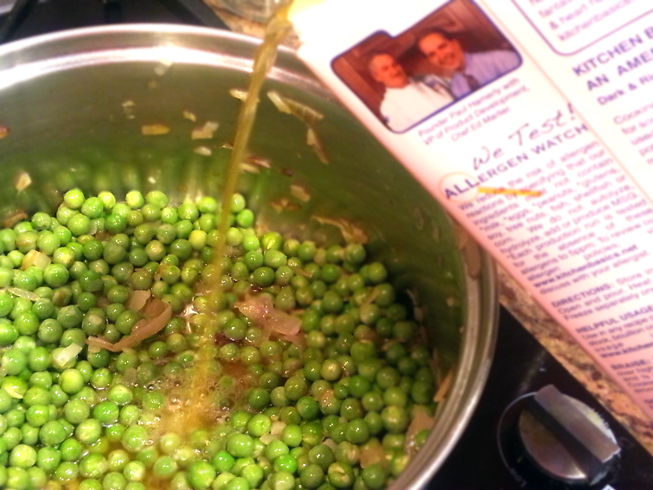 Add peas to the pot and saute for another minute, then add stock and adjust the seasoning. Simmer for about 8- 10 minutes until peas become soft. Let the soup cool for about five minutes, then add mint and blend either with an immersion blender or in a conventional blender in batches.